Twenty years after the introduction of the first Porsche Boxster, Porsche has taken a new direction in the design cue of the new Boxster. The new 718 Boxster S takes its inspiration from the legendary Porsche 718 mid-engine sports car of the 1950’s and the 1960’s. Powered by a flat four engine, its lightweight construction and a precise chassis helped the 718 to win many international races in its day. This is the story told by Porsche in their release, but it seems to me to be just a story spun to romanticize their move from the horizontally-opposed six-cylinder flat engine to a horizontally-opposed flat four. Still, it is a nice-to- hear story, so we will go along with it. 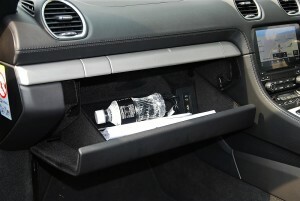 The ragtop folds neatly into this cubby hole at the back in 9s at speeds up to 50km/h. The Boxster series has traditionally been the entry-level Porsche, and is a two-seater roadster with a rag top. 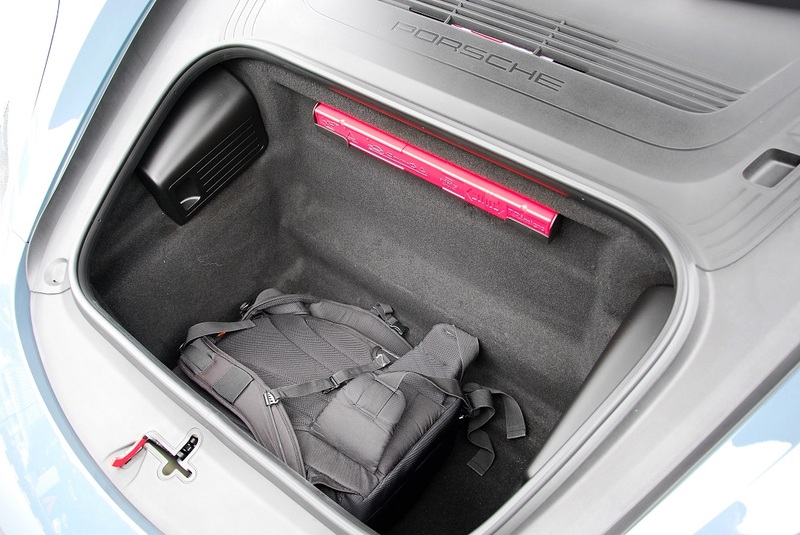 The rag top now is electrically operated, and stows neatly behind the rear seats in its own special compartment. 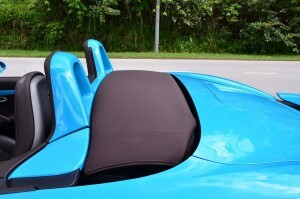 The hard top version is called the Cayman, the new version of which will be introduced here soon. 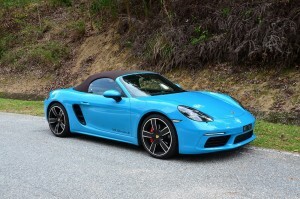 There are two engine options offered with the 718 Boxster – either a 2.0 litre or a 2.5 litre flat four – both are turbocharged to provide 300 horsepower and 350 horsepower respectively, both outputs being better than the variants they replace, despite having smaller engine displacements. 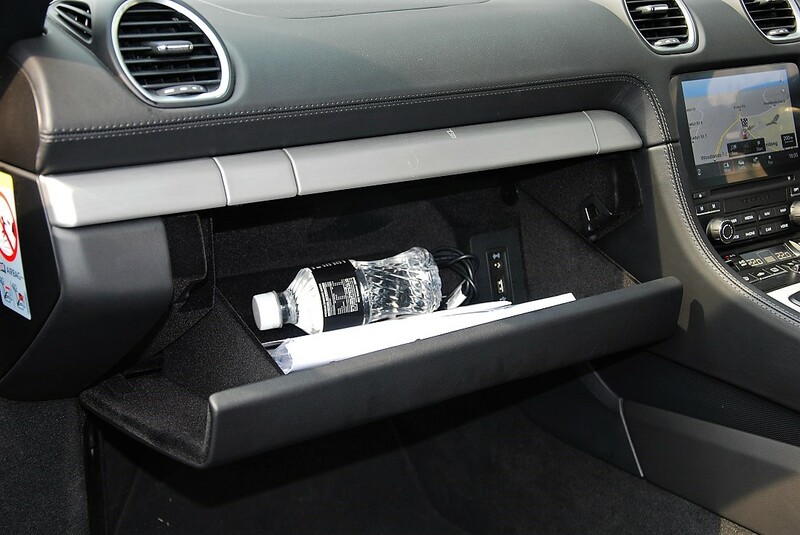 The additional power is made up through turbocharging, which also comes with the benefit of enormous torque. 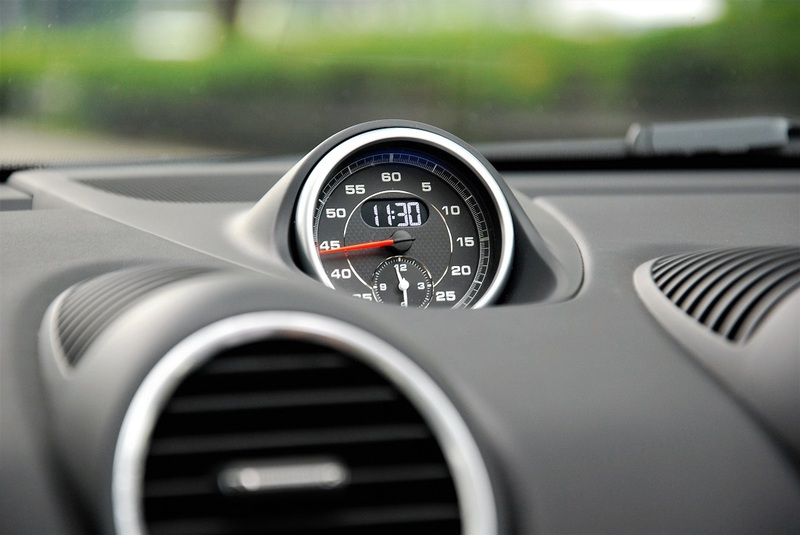 There are some benefits in terms of fuel consumption, especially during normal driving situations and in conditions that require some idling. Driven hard, turbocharged engines can be just as thirsty as larger capacity engines of equivalent horsepower. The bonus to us here in Malaysia is that now the road tax will be more affordable, and should result in more sales of the Boxster, and the Cayman 718 series, (which shares the same chassis and mechanicals), when that model is introduced. 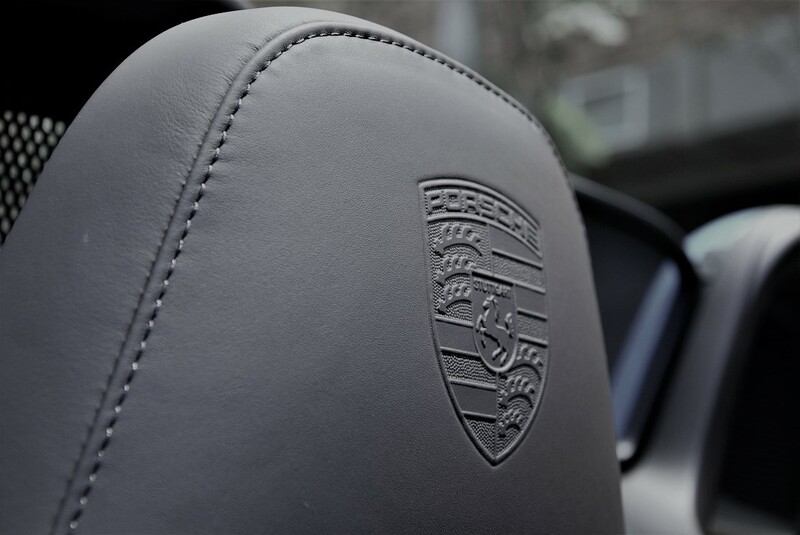 Another indirect benefit to the brand would be that henceforth, the sale of used cars would be encouraged by the lower road tax, noting that people need to dispose of their used units so that they can upgrade to a higher Porsche model. 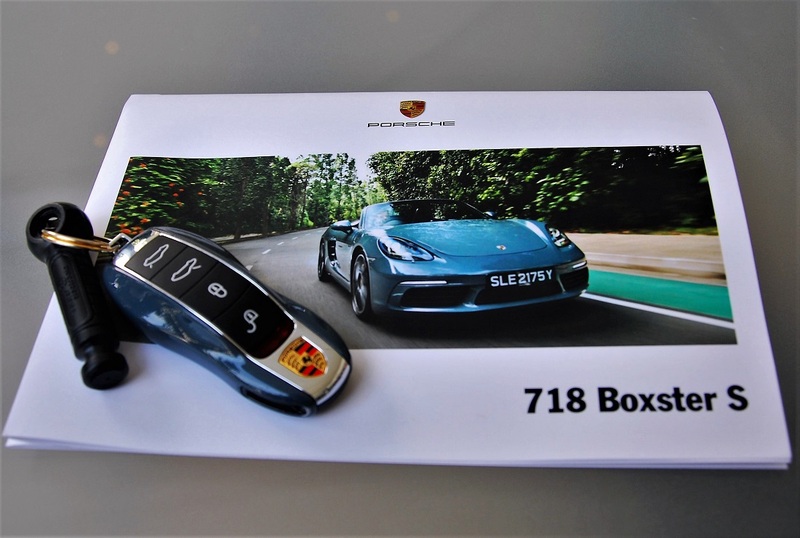 We managed to get an invite to check out the new 718 Boxster – and as luck would have it, we were given the Boxster S, which has the 2.5-litre engine, for a day so my drive partner and I dutifully went over to the Porsche Centre in Glenmarie to do the exchange – my 211 horsepower FWD car for a 350 horsepower mid-engine rear-wheel drive roadster. 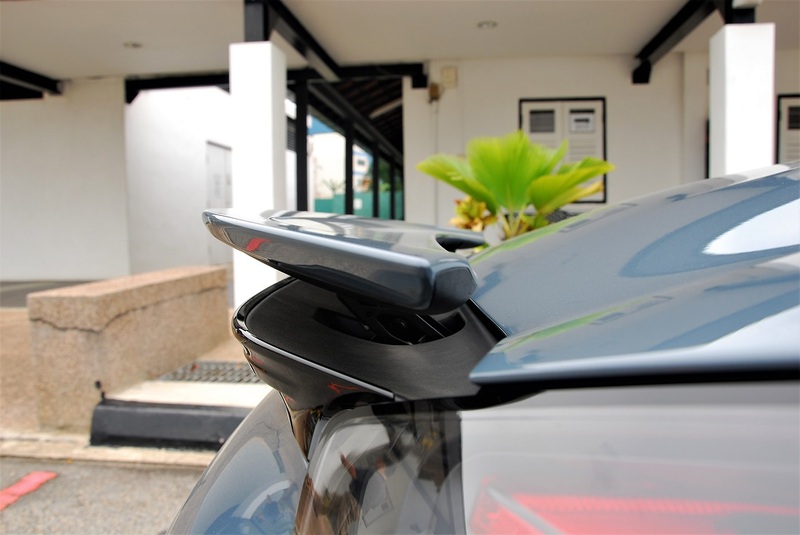 We needed a road that had lots of corners, wasn’t too busy, and wasn’t too far away from Petaling Jaya, and so to Berjaya Hills we went. 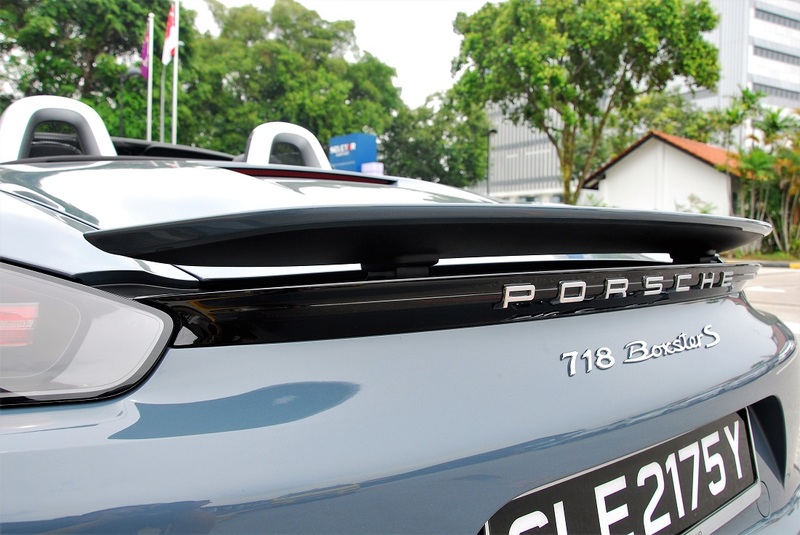 From the Porsche Centre in Glenmarie, we took the ring road to the eastern side of the city and joined the Karak Highway that links the East Coast to civilization. 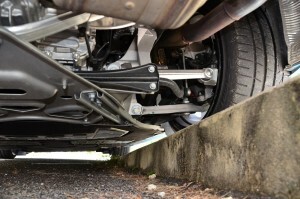 Rear strut suspension with dual parallel links. 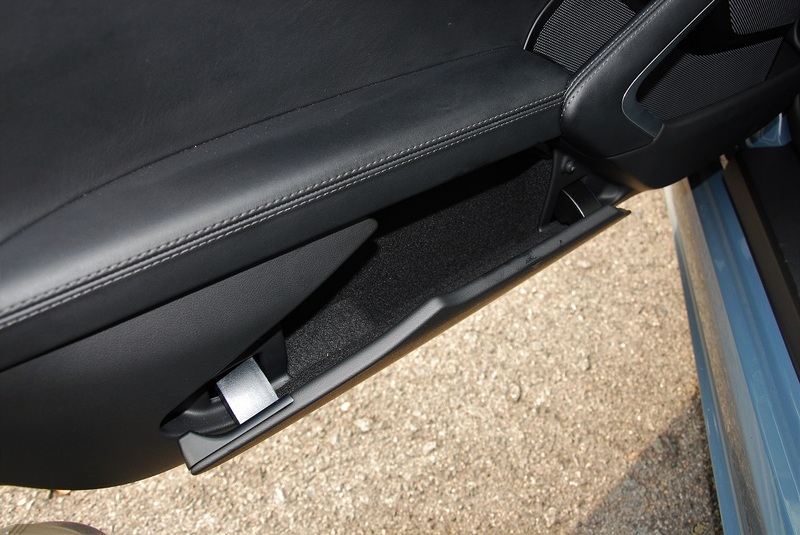 Note the adjustment cams. 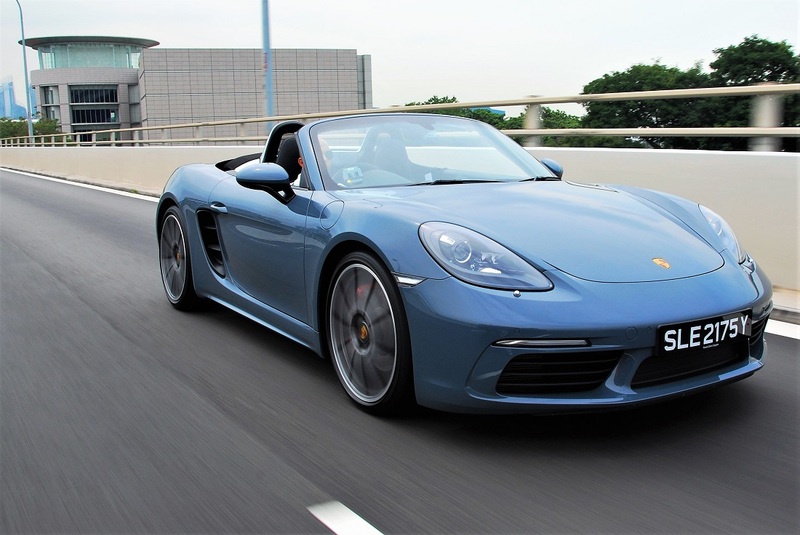 In its driving dynamics, the new roadster the Boxster is said to follow in the tracks of its ancestor – with a completely retuned chassis, handling and cornering performance is enhanced. 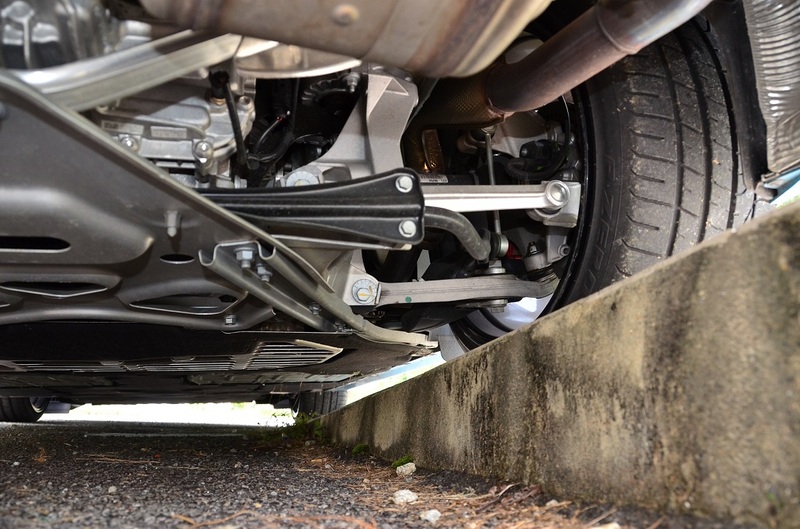 Looking under the car, however, we note that the suspension is very similar to the one it replaces i.e. 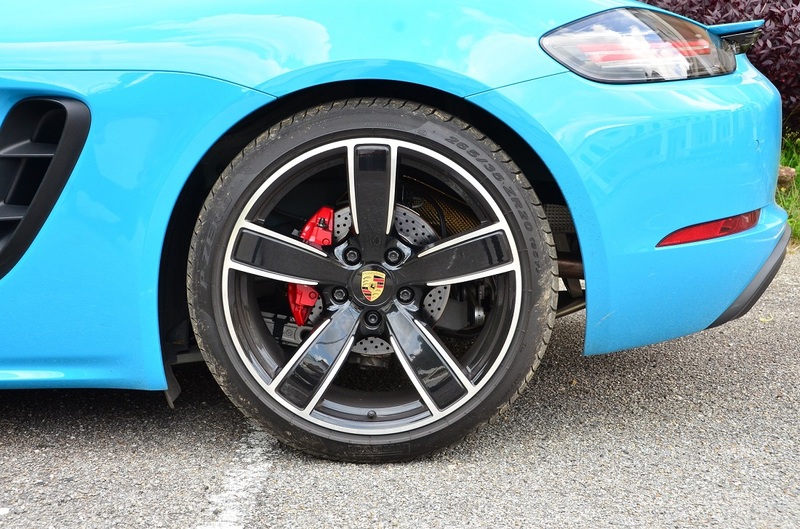 McPherson struts all around, with un-sprung weight kept to a minimum through extensive use of aluminium frames and arms, with full adjustability using eccentric bolts and cams. 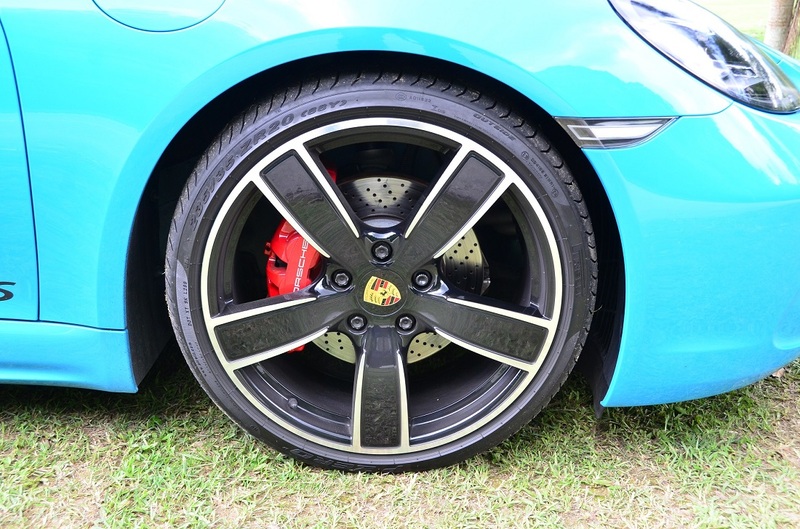 Of course the engineers would have tuned the suspension with this new model release to maximise on the driving dynamics, but the adjustability allows for setting up of wheel alignment according to one’s preferences (for professional tuners). For the Boxster S, Porsche offers PASM sport suspension as an option, plus a few driving modes. By the mere push of a button, you can select the mode that best suits you. This includes a 20mm lower ride height and much tighter turning in Sports mode. 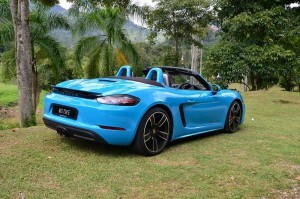 On the road, you can drive the Boxster S sedately if you like – it is not one of those thoroughbreds that you have to push at high revs all the time – your mother can take it to the supermarket if she so wishes, and she might even achieve the rated fuel consumption of 7.3 litres per 100 kilometres. If you need power, all you have to do is just step on the accelerator, and the 350 horsepower is delivered with 420Nm of torque. 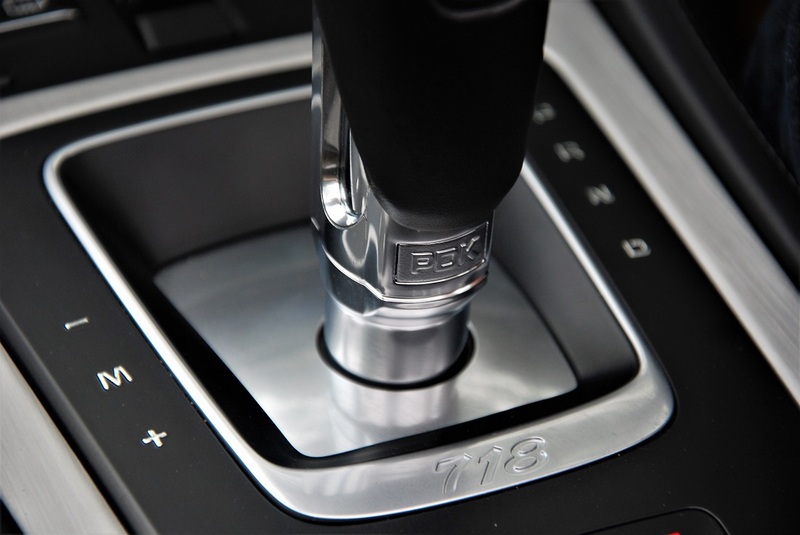 You don’t even have to worry about the gears, as the 7-speed PDK automatically takes care of that department. 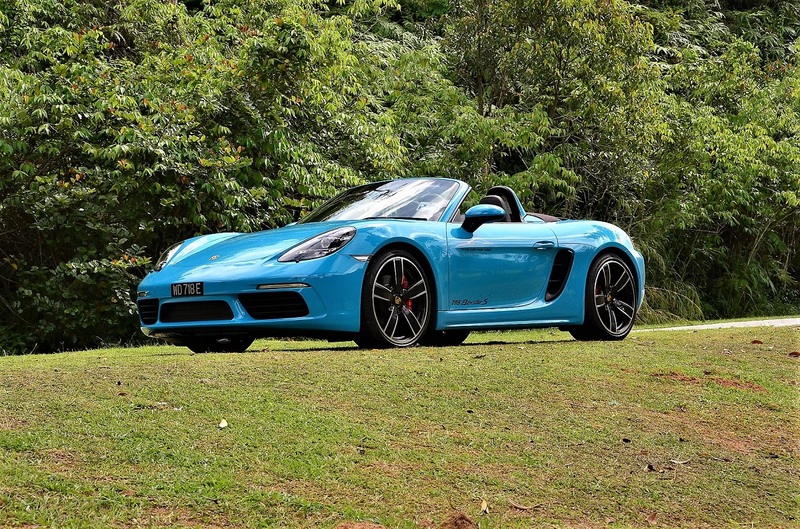 For the record, the Boxster S (with PDK) does the zero to 100km/h sprint in 4.2 seconds and can hit a maximum speed of 285 kilometres per hour. There are several driving modes that you can select at the touch of a button. If you so wish, I suppose you could also make an order for the manual version. 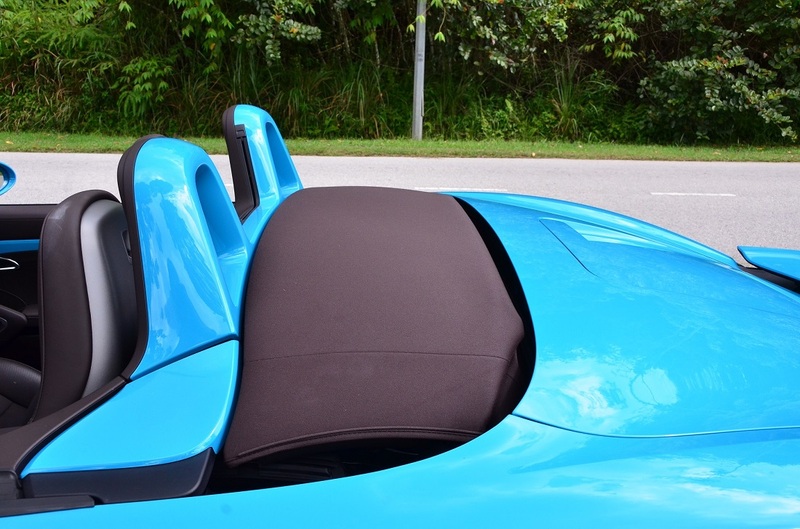 We kept the drive mode on normal whilst on the highway and it was quite a pleasant drive up the mountain towards Genting Sempah, and then through the tunnel and down towards the Berjaya Hills. 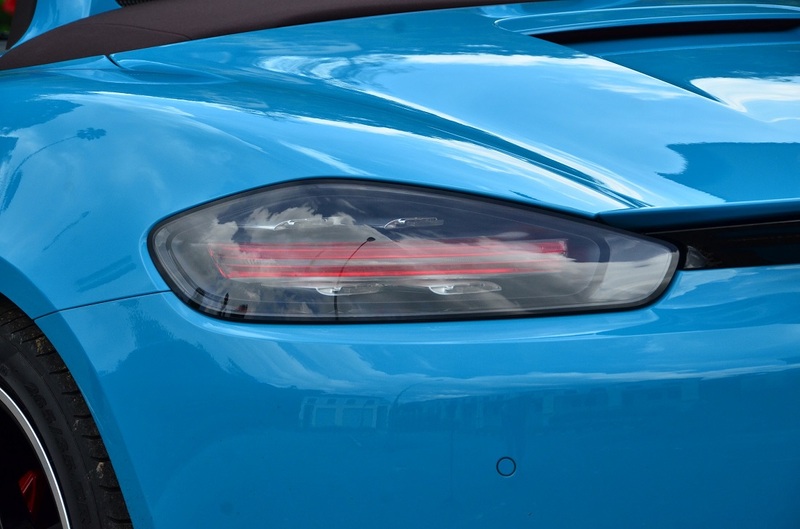 It was with effort though, that we stayed close to the speed limit, because it is so, so easy to go beyond – the 350 horses is all there, raring to be unleashed, but rules are rules. 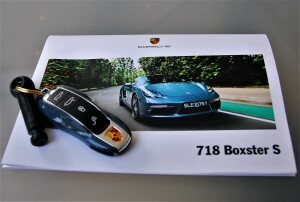 If you like, you can use the convenient steering-mounted paddle shifters and we did exactly that once we got onto the Berjaya Hills stretch which winds up from the guardhouse at the entrance all the way up to the golf course. There are two ways up the hill, a choice of either a clockwise or anti-clockwise direction – most people go up in a clockwise direction and come down the other side, so we took the same option. 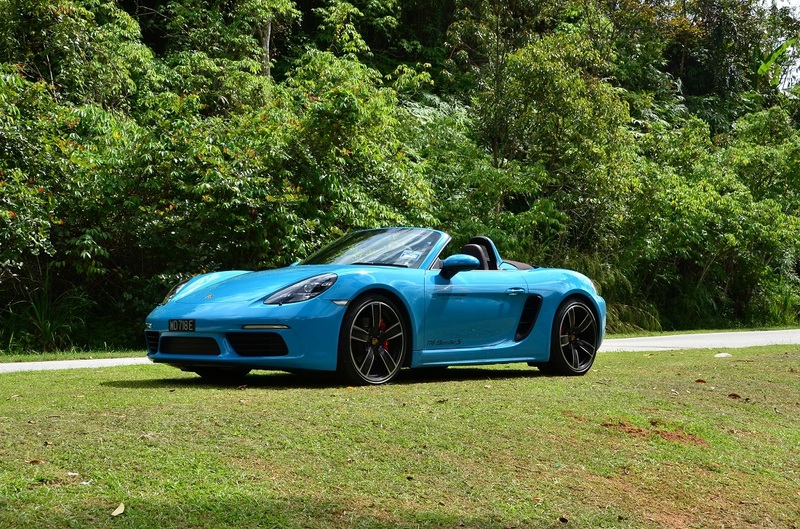 The best way to test the Boxster S was to do it on the way up the hill – this way, we get to sample the massive 420Nm of torque that this engine produces, and also check out the cornering dynamics without having to worry too much about braking, not that the brakes are potentially problematic – it’s just that the driver has fewer things to worry about. Naturally you would want to select Sports mode, like we did. 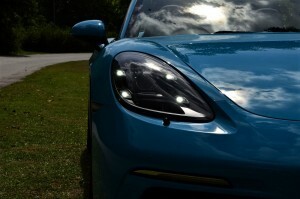 Note the 4-point LED daytime running lights. 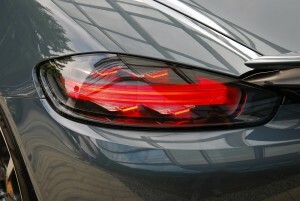 LED lights for the rear too. 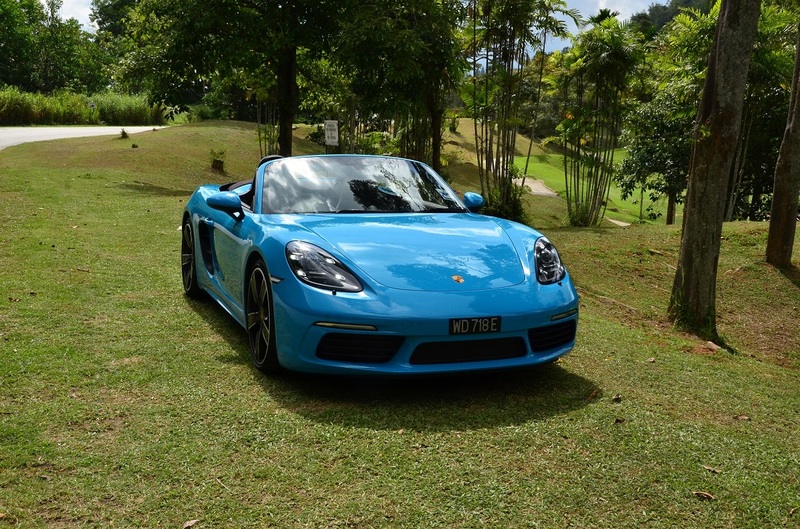 This Boxster S took to the hill climb like a duck to water – as promised, the chassis tuning was superb – with the aforementioned lightweight all-wheel independent suspension with McPherson struts. 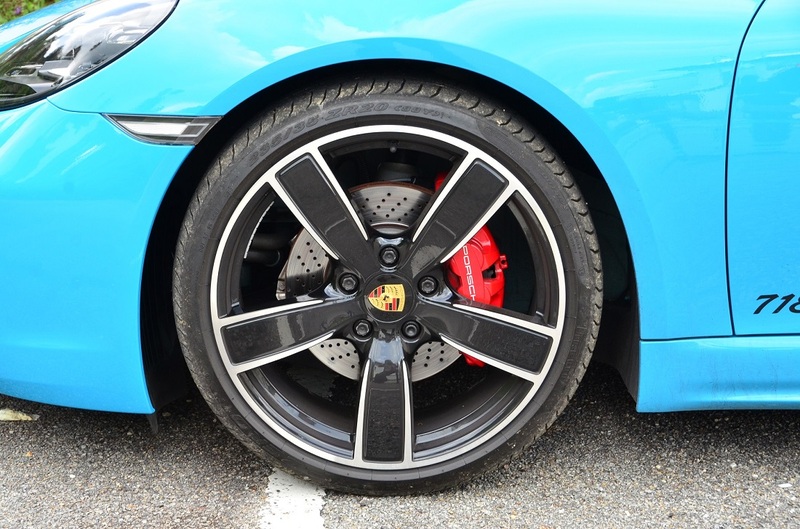 The test car came with Sports Tuned suspension and PASM, and cornering was assisted even more by the Torque Vectoring system on board. 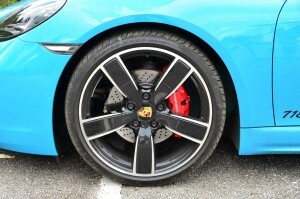 Whereas a normal transaxle would get drive going to the side that has the least traction (which basically means the the inside wheel in a corner), and therefore causing the car to loose grip, the Torque Vectoring system senses when there is an abnormality in the wheel rotation on the same axle, and applies braking (automatically, without any driver input) to the inner wheel, thus transferring the drive to the outer wheel where it is needed. 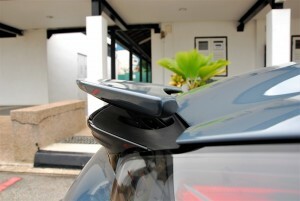 The effect of this is ‘tighter’ turning performance, and improved driving dynamics. I didn’t take the car to its limit, but I did drive at a decently fast pace, and of course the Boxster S took it all in its stride, never faltering one bit. 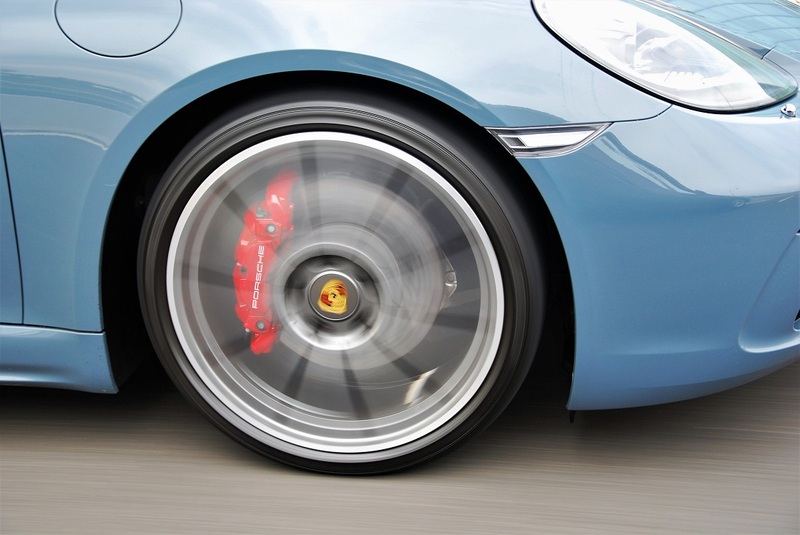 The fact that the test car had 20-inch wheels also made a difference to the handling. 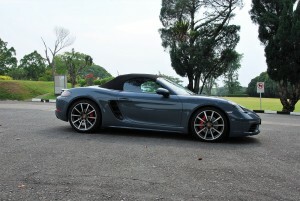 In terms of driving fun, the Boxster delivers as promised. The turbocharger makes up for the smaller engine displacement. 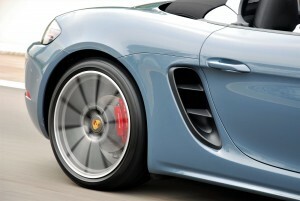 The next question would be, how does it stack up against the flat-six that Porsche is so well known for? 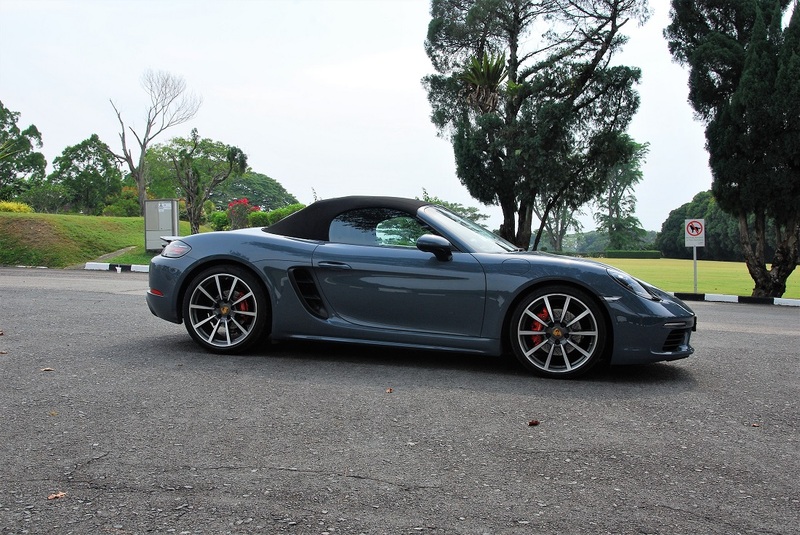 Well, if you have never driven a flat-six before, you wouldn’t know the difference. I have driven a similar flat-six engine configuration before in the Cayman GT4 – that one had a little bit more horsepower, being the engine from the 911, shoehorned into the mid-ship arrangement – that was awesome and raw power. 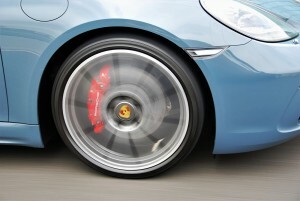 Compared to that, the flat-four sounds less aggressive, but over a period of time, people will forget. 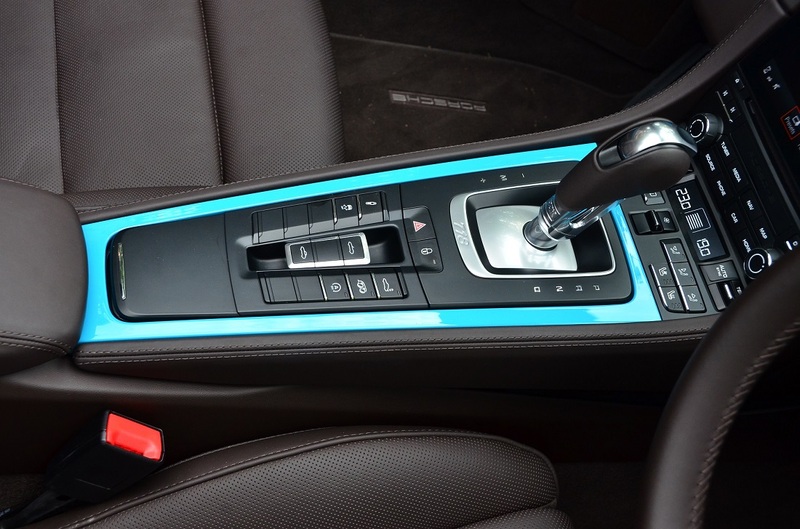 The same thing happened to BMW when they started moving from the straight-six to the four-in-line configuration. Let’s face it – downsizing will happen no matter what we say or have to say. The base model Boxster S starts at RM620, 000. 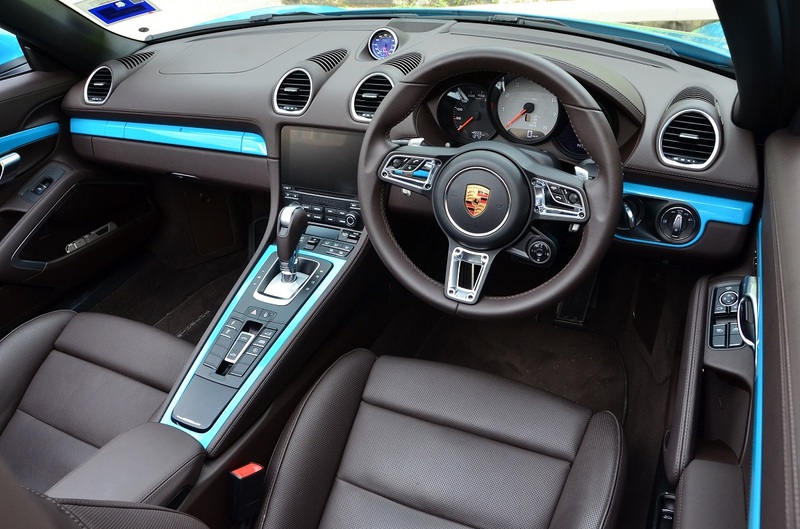 For this option, you get Bi-Xenon headlamps, park assist for front and rear, alarm system, PDK, Power Steering Plus, two-zone climatic control, wheel caps with Porsche logo in colour (as opposed to black and white), Porsche Active Suspension Management (PASM), floor mats, 4-year warranty, and 4-year/100,000 km free service and maintenance. For another RM140k+, you can customise this car to your heart’s content. 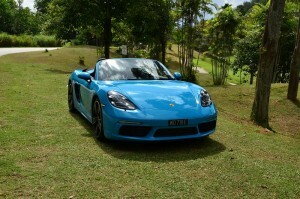 All things said and done, I did find the Boxster S a fun car to drive. 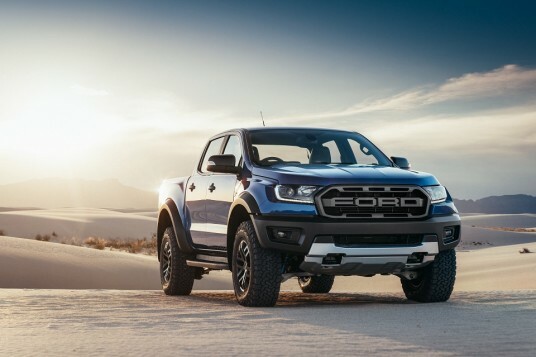 I believe that even the base model with the 2-litre engine will be good enough for most people, considering that it has all of 300 horsepower and 380 Nm of torque. That’s plenty of power for most people. 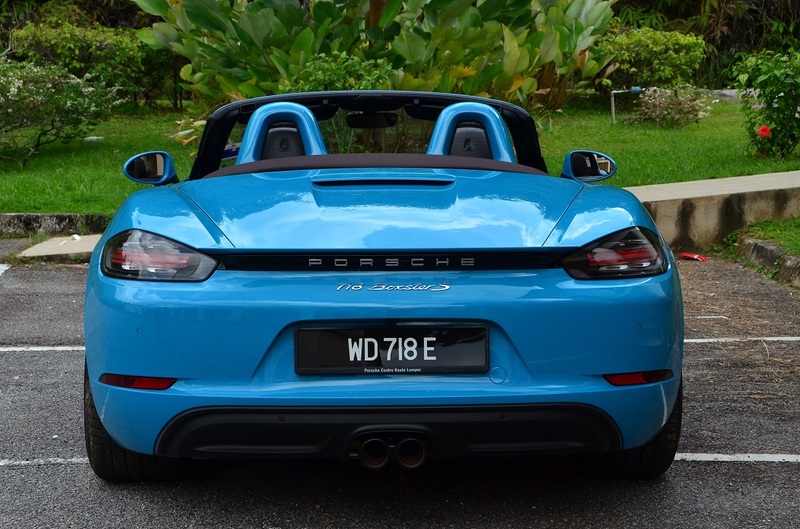 Zachary adds – I also sampled the 718 Boxster S in Singapore. It was spec’d a little differently i.e. without the 4-point LED daytime running lights and Sport Exhaust System so there’s no burbling or popping but that’s something I can live without (and like YS said, you’ll get used to it). Nonetheless, cars in this category are more of an emotional proposition than a logical one because after all, why would you spend this kind of money on a car which doesn’t come with a metal roof and sits only 2 when you can splurge on a large people mover or luxo-barge? But the 718 Boxster (and Boxster S) does more than tug at your heartstrings. 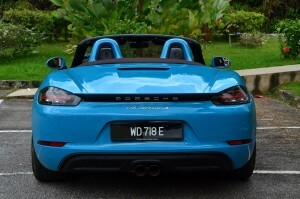 With its well-balanced handling and its gentle demeanor in heavy urban traffic (Singapore rush hour was no sweat at all) that hides a beastly form for when the traffic clears up (2nd gear in Sport mode can take you beyond the speed limit, by the way, so be wary of its potential), the Boxster S isn’t just a car that you take on an early morning weekend drive to some quaint little town for breakfast; it’s also very usable as a daily commuter. 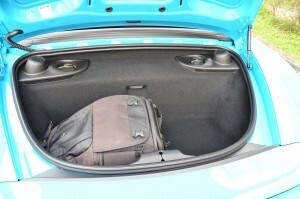 If you need some argument to convince your logic, there’s the acceptable fuel consumption (for such performance) and the rather sizeable cargo space (275 liters in the rear, 150 liters in front). 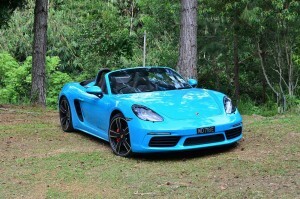 And yes, even the 2-liter Boxster (with cheaper road tax to boot) is more than powerful enough for most. 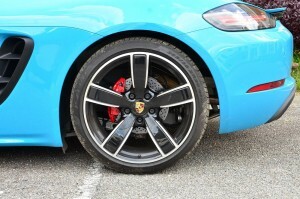 Front tyres are 235 mm wide. 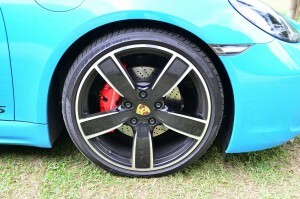 Rear wheels are 265 mm wide.